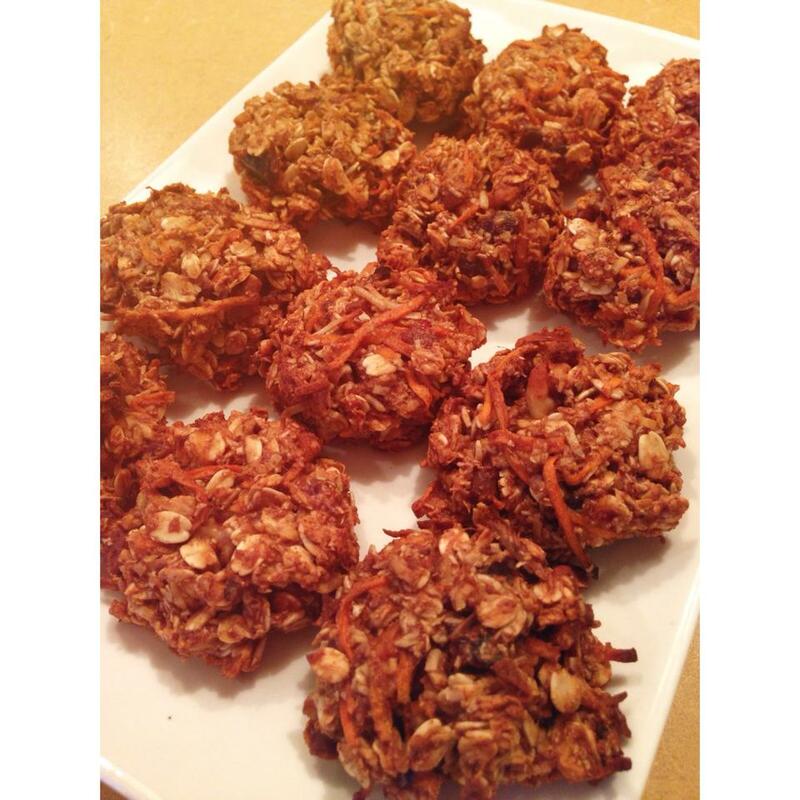 Pump up the beta-carotene in your morning with these Carrot Coconut Oatmeal Cookies. They are easy to grab on the go. 2. Put the pitted dates into the microwave with a tsp of water for 40 secs to soften. When they are done, mash them. 3. Combine and mix all the ingredients in a large mixing bowl. 4. Form into cookies on a baking sheet lined with parchment paper. 5. Bake for 20 minutes, until brown.